Fellow Scot lass Lynne did a wonderful blog post yesterday on posts she is loving just now so thought I would do a similar thing and make it a weekly thing! I decided to keep it to under 5 posts and when you follow about 70 blogs, that is just a teeny bit difficult! This week Corrie did a great post on her pre fake tanning routing, Any tips or tricks I can get with regards to preparation for fake tan is always a winner for me. You don't get many posts on tanning so I thoroughly enjoyed it. You can view the post here. A fellow nail art lover like myself Ash did a great post this week as part of her nail dairies on cupcake nails. She describers these as a zero calorie treat and I couldn't agree more. You can view the post here. Emma Jayne's post on how to get gorgeous sleek smooth hair is a winner for me. Looking at the pictures I have similar type hair to Emma Jayne so really enjoyed this post and love how the products used where not to expensive. You can view the post here. 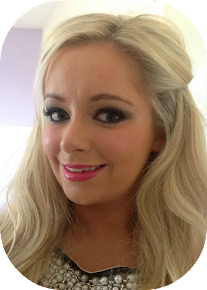 The lovely Lynne did a post this week on Blonde hair care on a budget. I am forever after new great products for my blonde locks so I now have a few new things on my wishlist! You can view the post here. Ren is doing a series of posts on flawless complexion and I loved her first installment. I always feel really uneducated when it comes to skincare and this post starts from the most important part, the skin and getting it full prepped for makeup. You can view the post here.